Winter! It’s that time of the year again. Frost litters your windshield, and there are traffic jams at every stop light. As bitter wind and ice cold snow blow into our lives, swirling in with the freezing temperatures comes Christmas. Christmas is the warm smell of chocolate cookies in the oven wafting into the living room where your little brother and sister shake the presents under the tree, trying to figure out what’s inside. It’s the jolly tunes that are being emitted from the car radio as you are on your way to work, and the butterfly feeling in your stomach during “Secret Santa”. Christmas is all things good and warm in the world. Christmas is celebrated as a religious holiday of many forms, all across the globe. Many different countries started to hold celebrations in the winter during the early years of man. For example, in Scandinavia, Yule was celebrated by the Norse. The version that was most commonly celebrated in America, during the earlier centuries, was, and still is, the Christian version. Near the fourth century, church officials decided to hold a celebration in honor of the birth of Jesus. Although there is some evidence suggesting that Jesus wasn’t born in winter, but rather, spring, Pope Julius I chose the 25th as the date for this renown tradition. Christmas is celebrated through a variety of manners and activities. People who celebrate usually doing so by decorating a Christmas tree, exchanging gifts, throwing parties, attending church, and of course enjoying a Christmas Dinner which usually entitles a ham or turkey, cranberry sauce, and mashed potatoes (among other dishes). Many people also celebrate Christmas through the legend of Santa Claus. On Christmas Eve, children lay awake, waiting for the jolly man dressed in red to descend down through their chimney and leave them gifts. The legend of Santa Claus, otherwise known as Saint Nicholas or Kris Kringle, can be traced back to the 3rd century near Turkey. One of the most popular ways that not only Americans, but people of many cultures, celebrate Christmas is by watching holiday films. Gathered in their living rooms, feet warmed by the fire, many families sit and watch famous classics such “Rudolph the Rednosed Reindeer” or “A Christmas Story”, while munching on popcorn or Christmas cookies. Christmas films are not only a source of entertainment, but they can teach us many important life lessons or have influences on young minds. One influence that many children have undergone is learning to be empathetic. Movies such as “How the Grinch Stole Christmas” or “The Family Man” can help to teach young minds, that are still developing, that becoming more empathetic is an important part of life and can have many rewarding outcomes. Century long debates have been held, for as long as Christmas movies have been around, about which holiday film is truly the best. Some think that it’s the highest grossing films that are the best, such as “Home Alone” (1990) which, according to CNBC, the domestic box-office gross rating was $286 million. However, many film buffs and even amateurs claim that it’s the classics that really hit close to home. While we may not know exactly which is the best, here is a list of some of the best Christmas movies to snuggle up and watch with your family this year. Warning, there are spoilers ahead for those of you who haven’t seen these famous films! “A Christmas Story” is a holiday favorite of thousands, all across the nation. “IMDb” rewards it 8.0 stars out of 10, and “Rotten Tomatoes” adjusted score is 93.942%. Personally, this film is one of my all time favorites, right next to Home Alone and a handful of others. While the film is narrated by an adult version of the main character, it focuses on the life of young, 9 year old Ralphie, and his struggles during the holiday season of 1940. Most kids want a football or a board game for Christmas; Not Ralphie. All he wants for Christmas is a Red Ryder Range 200 Shot BB Gun. To a kid, it doesn’t seem like that big of a deal, but to adults, it’s almost as bad as letting your 9 year old behind the wheel! This movie follows Ralphie’s “quest” to finally getting that long awaited Red Ryder Range BB Gun and even into the quirks of childhood. Directed by Bob Clark (It Runs in the Family) and starring Peter Billingsley (Ralphie), Scott Schwartz (Flick) Ian Petrella (Randy), this hit classic is hard to miss. With a $3,300,000 budget, the film raised more than half over the course of the opening weekend of November 18, 1983. According to “IMDb”, on opening weekend the movie earned $2,072,473 and a gross total of $19,294,144. This film was chosen as one of the best films to watch this Christmas season for a variety of reasons. From the quick witted fun of children and frozen poles, to the somewhat inappropriate humor of a “leg” lamp, it’s definitely one of the better films to watch. This movie is special to me because I’ve been watching it for years. It’s become sort of a tradition to watch “A Christmas Story” every year, and it’s something I enjoy. An ideal setting for watching this movie would be settling in under warm blankets and having your feet toasting by the fire (or heater). For those of you who are more active, you can enjoy the film by playing a board game or cards while it plays. Enjoy this film with a bowl of roasted hazelnuts and mug of steaming hot cocoa, and you won’t be disappointed! What’s better than an eight year old being left home alone to wreck havoc!? Nothing. Chris Columbus’ “Home Alone” (the first one) portrays exactly this. When eight year old Kevin McCallister is forgotten at home during the rush to get to the airport and catch a plane to Paris for Christmas vacation, it’s his dream come true. He’s finally able to do what every kid wants— which is whatever he wants! Pizza, ice cream, and movies fill his days until a pair of ratty burglars nicknamed Harry and Marv scheme to rob his house, and on Christmas Eve, no less! This movie follows the adventures of Kevin as he gets to experience what it’s like to live alone and (almost) like an adult, just, without the responsibilities. Viewers laugh along as the villainous burglars get caught in the sticky traps of childhood. With Macaulay Culkin as Kevin, it’s a guarantee that it’ll tickle your funny bone until you can’t possibly stop laughing. Not only does this film star Culkin, but Joe Pesci (Harry) and Daniel Stern (Marv) as well. Directed by Chris Columbus, who also helped create the first three installments of the Harry Potter series and The Help. With a budget of $18,000,000, the movie raised a gross sum of $285,761,243. This movie was chosen for this list of the best Christmas movies to watch this season not only because of the undoubted humor and talent, but because it’s so relatable. Everybody has those moments when it feels like your head’s about to explode because of the rush. Whether it’s that you miss a day of school and fall two weeks behind (quite literally) or that you missed your bus, ride, or even plane. That’s one of the reasons I love watching this film: It’s so relatable. I totally understand what it’s like when your family, especially your siblings, won’t stop nagging you, so it’s nice to be able to laugh along with the film. Get ready to laugh your pants off, and settle down with a group of giggly friends. Nothing’s better than a warm night in on a cold snowy night, with a cup of your favorite hot drink and a comedic [Macaulay] Culkin! While the previously listed movies have a comedic edge, “A Miracle on 34th Street” is a more laid back and sentimental film. Living in bustling New York, Susie is six, and unlike most children around the world, does NOT believe in the legendary Santa Claus. Her mother, Dorey (Played by Elizabeth Perkins) has taught her that Santa Claus wasn’t real, ever since she was little. However, once Susie meets a Mall Santa with a secret of his own, she has second thoughts. This family movie earned over $17,000,000 in the U.S. Directed by Les Mayfield (Flubber starring Robin Williams) and starring actors such as Richard Attenborough and Dylan McDermott, it’s a heartwarming film that can’t be missed! This movie was chosen for a variety of reasons. It is a great way to bring back the Christmas spirit after our long break off from the festive holiday. Not only this, but helps us to re-discover the true meaning of Christmas. It’s not about how many presents you got or who spent the most money of gifts, but of giving. Not only giving, but also believing in miracles and wishing well upon others. It also teaches a variety of valuable lessons that can inspire kids all across the nation. One such lesson is that our imagination and ability to create with our minds is a gift, and it shouldn’t be squandered or tucked away in the dusty attic of our brains. Having fun and believing in things such as Santa Claus, The Easter Bunny, or even your imaginary friends, is good for your mental growth and development. Our imagination is the one thing that will always stick by our sides until the day we die. A second lesson that can be gained from the delightful experience of watching “A Miracle on 34th Street” is to have faith. When I say “have faith”, I don’t necessarily mean religious faith, although that can be applied. It’s important to have faith that things will work out for the better, even when all seems lost or dark. Don’t be side-tracked by the negative aspects of life, but keep believing that things that may seem impossible and just have some fun! Many of the best Christmas films are classics, and “Rudolph the Rednosed Reindeer” is no exception. This beloved animated film was created in 1964 by director Larry Roemer. This classic kids film follows the story of poor little Rudolph, a misfit in the average reindeer society. Outcast by his fellow community due the bright glow of his bulbous red nose, he runs away into the cold blizzards of the night, with Hermey the Elf. Both outcasts stumble upon Yukon, the prospector, and eventually the legendary Abominable Snowman. Once the snowman is defeated, they discover the Island of the Misfit Toys, which houses multiple damaged or unwanted toys that were discarded by children. Rudolph returns home, persuading Santa to help the misfit toys, only to find that he is needed. Soon after helping Santa with the most important night of the entire year, Rudolph is welcomed back with open hooves. This fun favorite will have you laughing...and even crying...throughout the entire duration of the film. One of the great aspects of this movie, and virtually all Christmas movies, is that all people of all ages can enjoy it. Even high schoolers and adults. Just as with “A Miracle on 34th Street”, there are a variety of lessons to be learned from this revered film. The most important lesson that I feel can be learned from this film is that we are all unique. Everybody has some secret hidden talent that makes them who they are and makes them different from everyone else. Or, just like in Rudolph’s case, maybe it’s not so hidden after all! Along with the fact that everybody has a unique trait, also comes the lesson that you shouldn’t hide it. Some people may not like the fact that they are different or special. They can be embarrassed or feel outcast from society. It’s OK to be different. Nobody was created with the intent to be exactly the same, so let your spark burn and your wild side fly! Dr. Seuss is not only known for his famous works such as “The Cat in the Hat” or “One Fish, Two Fish, Red Fish, Blue Fish”, but the famous “How the Grinch Stole Christmas” as well. This is probably one of the better known films of this list. With many remakes, and one soon to come in 2018 (according to IMDb), I feel like this is the one that makes the list. While the other remakes are just as fun to watch, there’s nothing better than enjoying the classic. I feel like it really helps you understand and be a part of the movie better than remakes. “How the Grinch Stole Christmas” undertakes the task of telling the story of the Grinch, who lives alone in an old mountain, with the exception of his dog, Max. Nearby lies the small but crowded village of Whoville, and the Who’s all live for Christmas. From the depths of his cavernous mountain, Christmas carols can be heard by the villainous Grinch, who HATES everything, but especially Christmas. On Christmas Eve, he’s finally had enough. Dressed as Santa for good measure, he and Max raid the town of all things Christmas. Movies, music, decorations and even food is swept into large bags and thrown into his sled, pulled not by reindeer, but Max. When all the little Who’s in Whoville wake up to find that they’re presents are gone, they don’t wail or cry or shout, but hold hands and start to sing. The Grinch realizes, as he hoards his stolen treasure, that there was a deeper meaning to Christmas. “Then the Grinch thought of something he hadn’t before. Maybe Christmas, he thought, doesn’t come from a store. Maybe Christmas, perhaps, means a little bit more”. This iconic quote from the movie was included because I feel like it is maybe one of the most important quotes and lessons to be learned from the entire movie. Christmas is not about getting presents, but giving and sharing love. It’s about making sure that those less fortunate than you spend the holiday in a warm safe place with food and company. It’s about being a decent human being. There is no better way to prove that Christmas doesn’t come from a store but from the heart, than by holding hands and overcoming that challenge. Christmas is a great way to spend time with your family, and movies are a great way to enjoy the holiday. While the meaning of Christmas is deeper, watching favorite holiday films are always a special aspect of the holiday and an enjoyable way to get into season! I am a huge Marvel fan. When I heard about the new “Thor: Ragnarok” movie, I naturally fangirled and bought tickets to go. I had high expectations going in, as I do for all Marvel movies. Throughout the movie, I was left feeling every emotion possible: happiness, sadness, anger, and nervousness. I was sitting on the edge of my seat the entire time, and although it was still action packed, it had a different vibe to it than any other Marvel movie. It was well made, and I was left shocked at how it ended. I highly recommend seeing it because we get insight on a different side of Thor, there is some serious girl power in it, and of course all of the drama between Thor and the brother who we all thought was dead. The first scene in the movie was actually one of my favorites, and it set up the rest of the movie very well. 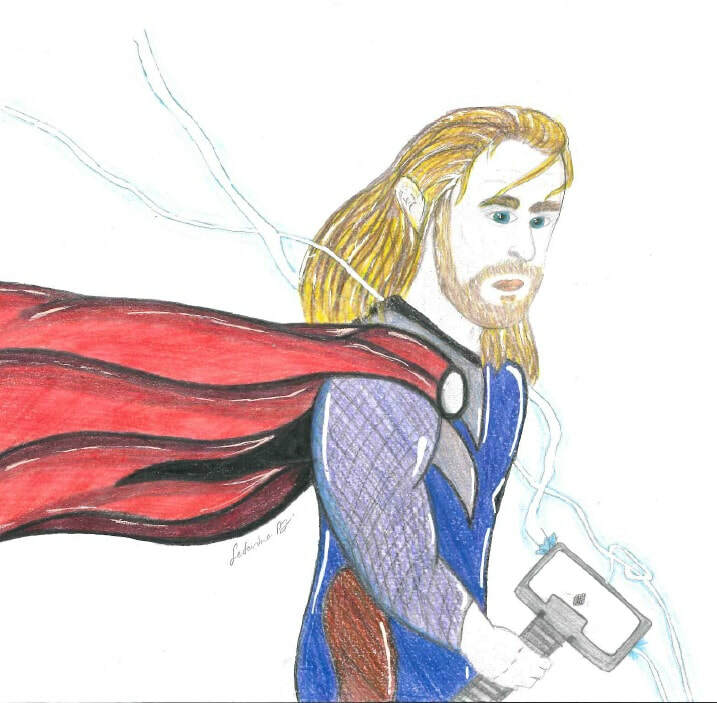 It also shows us a new side of Thor. Throughout the movie he was sarcastic and generally more funny; however, it also showed a vulnerable side of him (for reasons I’m not going to name). It makes Thor seem more human and less like the “God of Thunder.” The movie does an excellent job showing this new side of Thor, especially with the new villain Hela. Another reason I actually loved "Thor: Ragnarok" is because of the massive amounts of girl power in it. Two of the main characters, one being a protagonist and the other an antagonist, are girls. The protagonist is the Valkyrie. She is a strong woman who is one of my favorite characters in the movie. I love how the movie portrays her, especially with struggles of her own. It again visits the idea of making a strong hero seem human and vulnerable. The other female character who I liked (somewhat) was Hela. Although she was a murderous, power hungry evil goddess, I felt like she was one of the strongest villains I’ve seen in awhile. There aren’t enough female villains in superhero movies for me, so it was refreshing to see Marvel bringing in a character like Hela. She has an interesting connection to the Asgardians, which was slightly repetitive as far as the story of other villains in Marvel movies. Overall, I was very satisfied with how the female characters were portrayed. One of the main reasons I liked "Thor: Ragnarok" was because of Loki. People who haven’t seen the trailer still think he’s dead (sorry to those of you that do), but it can’t be that easy to kill the God of Mischief! Loki makes his comeback rather large, too, and it was fun to see Thor and Loki fighting like two normal brothers. With a revelation about the family at the beginning of the movie, I was left shocked throughout about the things I was learning about Thor’s family. Ultimately, there is nothing better than a little bit of family drama! "Thor: Ragnarok" exceeded all of my expectations. It is definitely one of my favorite Marvel movies, and if you like a good superhero movie with some dynamic characters, this is the best movie for you. Also, make sure you stay past all of the credits! After the first set of credits (the ones that are fancy and colorful), there is a very important clip that is so important to see, and then after all of the credits there is a more humorous clip. If not known, “Hamilton”, an American musical from Broadway, is in Chicago, at CIBC Theatre, formerly known as the PrivateBank Theatre. As previously reported,Reagan High School received a grant to go see this well known musical for only ten dollars for each student. The group of students and staff attended the November 8th showing. Multiple students raved of its multi-diverse cast and amazingly choreographed acting and singing. A hundred of lucky students, and about six lucky staff members were able to attend. ​Though these students didn’t only attend the performance. “Hamilton” the musical is in partnership with the Gilder Lehrman foundation having the #EduHam experience. EduHam is essentially performances from the schools attending and performing a creative art piece to learn more about the revolutionary era. Students from all over Chicago and starting to include students from inner and outer Milwaukee were able to attend and perform for Eduham. Wallace Smith, who played Hercules Mulligan in the show hosted the event; he was lively and energetic in every word he spoke. The day began with an act from each school that attended would perform, which was related to the revolutionary era. Reagan's very own Julia Matszik took the stage with her self-written poetry on the blood of the revolution. After the performances, there was a wonderful cast talk back with a few questions and answers. The Q&A was with Gregory Treco, Aubin Wise, Wallace Smith, and Jose Rosario Ramos. They talked about how they got into theatre, the rehearsal process, what it’s like being an understudy, and taking a very important role last minute when an important actor is sick or unable to perform. They were inspiring, talking of their inspirations and as Gregory Treco said for some last words advice, “Be yourself, I know it’s really cheesy but that's all I really have to say. Be unique and yourself.” As many people are humongous fans of this show, and with the limited availability to see it, I decided to take the liberty to review this fantastic show. To review their numerous characters,scenes,music,singing, and dancing numbers, there isn’t something you can’t love in my opinion.There were many scenes like ‘Hurricane’ with the yellow and purple shaped exhibited like an eye of a hurricane (the irony) scenes like that executed spectacular talent and blew people away in more ways than one. It was something breathtaking, for example in ‘Satisfied’ as Angelica sings ‘Rewind, Rewind.’ the whole scene resets from ‘Helpless’ in her point of view of what happened. The cast did it so swiftly it was something beguiling to watch. As all things go, we start at the beginning of the musical Hamilton. Alexander Hamilton was played by Miguel Cervantes, and Aaron Burr was played by Gregory Treco. The opening scene was none other than Alexander Hamilton. It was well orchestrated and formatted. As each actor went onto stage saying their lines they formed a curved line, Hamilton emerged onto stage in the middle. That was stunning. While also at the end of ‘Alexander Hamilton’ when the whole cast and ensemble says, “You never learned to take your time” it was the whole cast forming a line right in front of the stage. They almost looked like they were going to bow and bam! They then went into Aaron Burr,Sir. The transition was quick and steady paced which was something I’ve never seen in past musicals. In past musicals I’ve seen usually there was a major buildup till the next scene or song, so seeing that transition in “Hamilton” was something flawlessly done. Not only did they incorporate rap, but there was barely any dialogue. There was no back story needed to know what would happen next as the songs explained the story line. Another aspect regarding dialogue were the smooth transitions, from ‘A Winter's Ball’ to ‘Helpless’ in a matter of a few seconds. As Alexander and Aaron Burr (Miguel Cervantes and Gregory Treco) went onto stage as he began to say, “Go on and grow into more a phenomenon.” As he finishes his part Hamilton goes onto stage and joins in and agrees at specific parts to make it humorous. Their sing-song talking fit the piece immensely well. Also their actions when the exclaimed “Ladies there’s so many to deflower!” I could feel their excitement, which is something I loved giving their emotion to the audience. Onto the more technical aspects of the show, the lighting, props, and scenery were spectacular. The way it was orchestrated was brilliant. One of the most important parts of the show was during Hurricane, as I explained earlier. It was right before the ‘Reynolds Pamphlet’ was published (and sung). Though as Hamilton is singing, he wants to defend his legacy. Talking of his early childhood and the hurricane that hit his town. The lighting was yellow and purple, as it expanded it became the eye of a hurricane. As he was standing in the middle of it pained, but calm thinking of what he was about to do was the right thing to do. At that moment I was absolutely speechless. Another part of the show that interested me was the planks. In ‘Schuyler Sisters’, they used planks and placed them on the balconies. As the show progressed, they reused them for different aspects for example in ‘Non-stop’ where it acted as something to write on when they both became lawyers on Continental Congress. That was something incredible. For the dancers to remember where to place them, and swiftly move around and placing it in its correct place. It’s amazing how something so little can mean something so big in the show. One more technical aspect, which was a bit hard to notice unless you were really paying attention, was the lighting. For Eliza Hamilton, who was played by Arianna Asfar, there was the significance of a pink light. 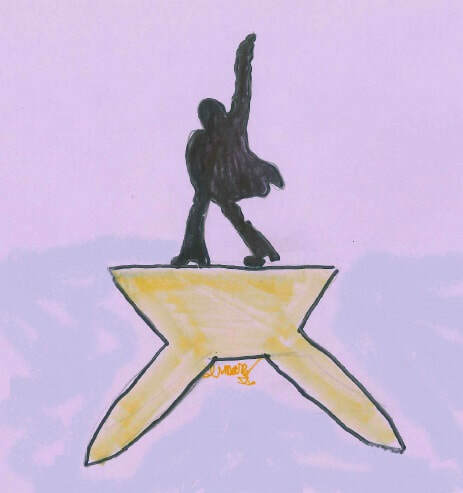 Primarily it first appeared in Schuyler Sisters, transitioning from Helpless, and finally into Burn. It was a soft touch to a brilliant order of the piece. As those are some of the highlights of the show, I’d like to outline a few more. Though one thing people constantly ask is the comparison from the Original Broadway Cast in New York, to the cast that’s currently playing in Chicago (and New York of course). There’s an array of different voices,ethnicities,and acting style. They each portray their characters with an essence like no other. As we go down the list of importance and players we start with Alexander Hamilton played by Miguel Cervantes. In my opinion, he did absolutely amazing. His voice just had the right undertones and he did have a bit of an accent that fit the character perfectly. His rap was slower but understandable compared to Miranda’s and his singing voice was silky smooth. He made the audience laugh when it fit the scene and at some points you could hear a pin drop. His portrayment of the character was something beyond wonders. If you mention Hamilton you can’t forget about Aaron Burr ‘with his own faction’ played by Gregory Treco. Compared to Leslie Odom Jr. who has a soulful voice, Treco was more husky and masculine. He also sounded like he had a bit of a lisp (nothing against that!) though, all in all, he did well. His acting and movements weren’t too swift. He was very postured but there’s nothing you can do of that. Onto Lafayette/Thomas Jefferson which was played by Chris De’sean Lee, he did amazing! His rap during ‘Guns and Ships’ had me absolutely speechless beyond repair. Also his transformation between characters and the iconic purple costume couldn’t pass him by. He sounded like Daveed Diggs, but, in my opinion, he was even better. The Female lead roles were also portrayed in their own way. We begin with Eliza Hamilton played by Arianna Afsar. At the beginning I expected a lot, but as the show progressed I understood what would was happening. Life is full of disappointments and that performance was one of them. Her voice was extremely nasal, a majority of the time her high notes were off or not on key and yet she tried so hard. I do give her an A for effort. Though we then have Angelica Schuyler played by Montego Glover. She is famously known all over the broadway nation, and it was amazing to be in her presence. From the “Lion King” to “Rent” she’s had an array of pivotal broadway roles. Now she has Angelica to add onto the list. Her voice was raspy but had a beautiful essence. Her subtle makeup fit perfectly with her dress as her actions were swift and steady. As you can feel the chemistry. One leading lady we can’t forget about is the iconic double play of Peggy Schuyler/Maria Reynolds. Aubin Wise portrayed her amazingly. From sounding childlike in the Schuyler Sisters to the transformation of Say No To This I was shockingly stunned. Her vocal range alone was incredible. Her facial expressions gave a new meaning to acting, I even wanted to take some notes. These leading ladies made the show unique in their own way. Now that I’ve mentioned Maria Reynolds you may wonder more about her. Who was she? What is she doing in the Hamilton musical? Well none other than Hamilton’s mistress. As stated she was played by Aubin Wise. As the song began it was the progression of their relationship in the short time of four minutes which was expertly showcased. To when Maria sat on Hamilton’s lap to when he was trying to leave her grasp of seduction and chivalry. It was something the audience couldn’t get enough of. You could hear everyone expressedly saying “No! NO!”. It genuinely made me smile because of this kind of breaking the wall type of tactic which was so smoothly placed in this musical. Though this show was something out of this world brilliant. I could go on and on and this could be an extended essay. I can’t express the amount of love I have for this show faults and all. Within this stage were acting and stage wonders. It is something inadvertently like no other which is why it’s so well known. In my opinion Hamilton was expressedly done, and beautifully written. As Lin-Manuel Miranda said, he appreciates us listening to the more than 27,000 words he has written. Even within its own comparisons they’ve done it in their own way. Their very own form of art. 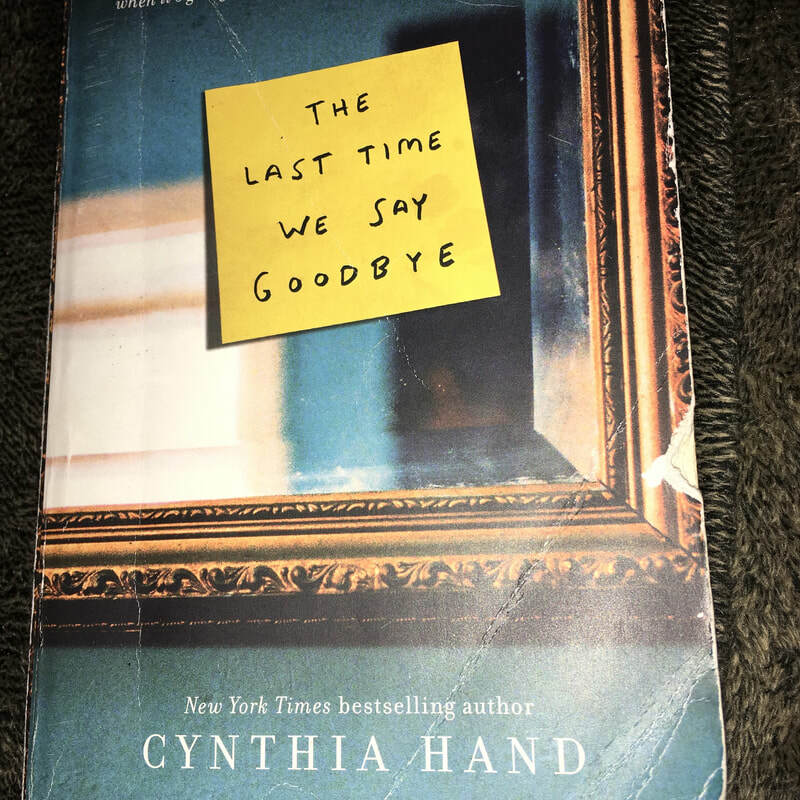 "The Last Time We Say Goodbye"
"The Last Time We Say Goodbye" is 390 pages telling the compelling story of a teenage girl, Alexis, dealing with the grief and secrets kept relating to her brother’s recent suicide. The book contains vivid detail and insight into the events leading up to Alexis’ brothers death and what events happened afterwards. Along with Alexis’ own thoughts on how she feels about everything happening to and around her. One of the dilemmas Alexis faces in the novel, is choosing to leave her obviously depressed mother for her spot to be a college student at MIT. Will she leave? Or will she decide to stay in the small town of Raymond, Nebraska? (Read to find out). It’s gripping detail made me never want to put the book down. I felt as if I could relate to the main character and who she was a high school student trying to figure out life, with a life altering event happening in a world of chaos. In my professional opinion, I would have to say that this book was beautifully written in a way that made me (and possibly many other readers) think about the true meaning of the book and how it relates to our own lives. The back of the book reads, “There’s death all around us. We just don’t pay attention. Until we do.” Speaking statistically, suicide is the 10th leading cause of death in the United States and each year about 44,200 Americans die by suicide, with about 494,200 people visiting the hospital due to self-inflicted injuries. AUTHOR'S BACKGROUND~ Cynthia Hand is a native from southeast Idaho and has graduate degrees in creative writing from the University of Boise State and Nebraska-Lincoln. For the past decade she has been teaching writing at Pepperdine University in Southern California. The book relates to her life because when she was a Junior in college, her 17 year old brother committed suicide. She states that the book is fiction, so the actions in the book didn't happen in real life. But this book was a way to explain her grief in a more creative way. Comparing and Contrasting to "13 Reasons Why"
In my opinion, this book could on some level relate to the Netflix series and book "13 Reasons Why." Both books introduce death and how it affects the world they once lived in— through the point of views of a once close friend or relative. But in contrast, "The Last Time We Say Goodbye" is more oriented towards the life of Alexis and how her brother’s death affected her attitude towards life and point of view.